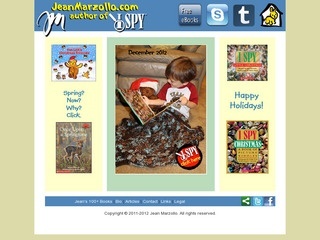 List of Jean's books online as well as paper format. Preschoolers can enjoy listening to a book read to them as they view works and illustrations. Short and long bio of Jean. Monthly interview with Jean answering who, what, and why. Contact info.